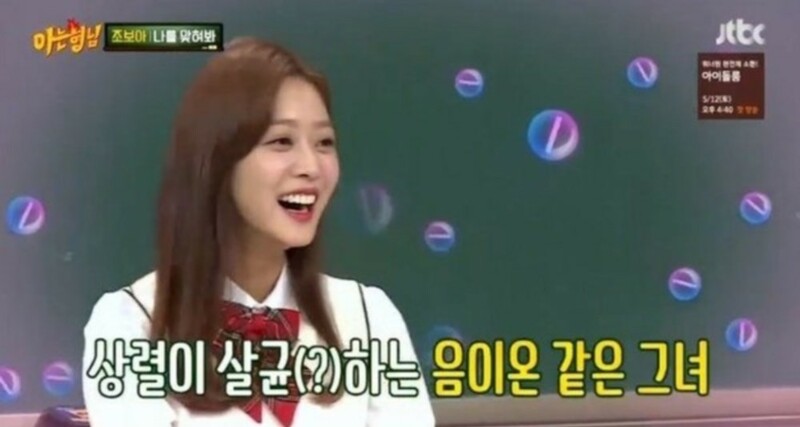 Actress Jo Bo Ah denied she has a boyfriend on 'Knowing Brothers'. When Ji Sang Ryul suddenly responded that she doesn't have a boyfriend, the 'Knowing Brothers' remarked, "Are you her agency CEO? You just worry about yourself." He then said, "Bo Ah, do you dislike me taking care of this? I have to put up a fence, so the doctor fishes don't come in." Jo Bo Ah said, "Sang Ryul, I hope you get married first," to which he said, "You're very smart when it comes to turning someone down."